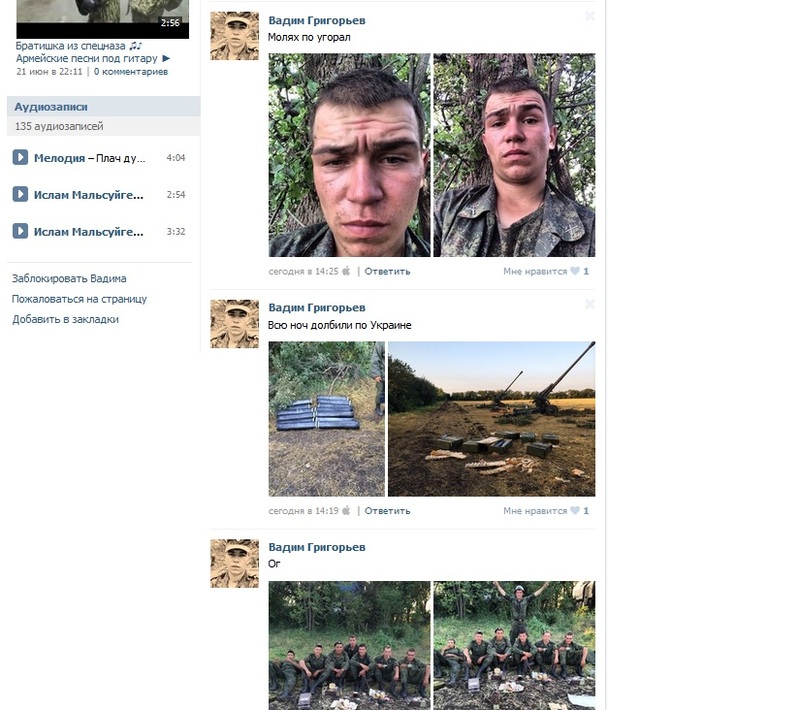 A Russian Army soldier, Vadim Grigorievpublished evidence of attacking Ukraine from Russia on his Vkontakte account. [Editor’s note: the page has now been deleted]. 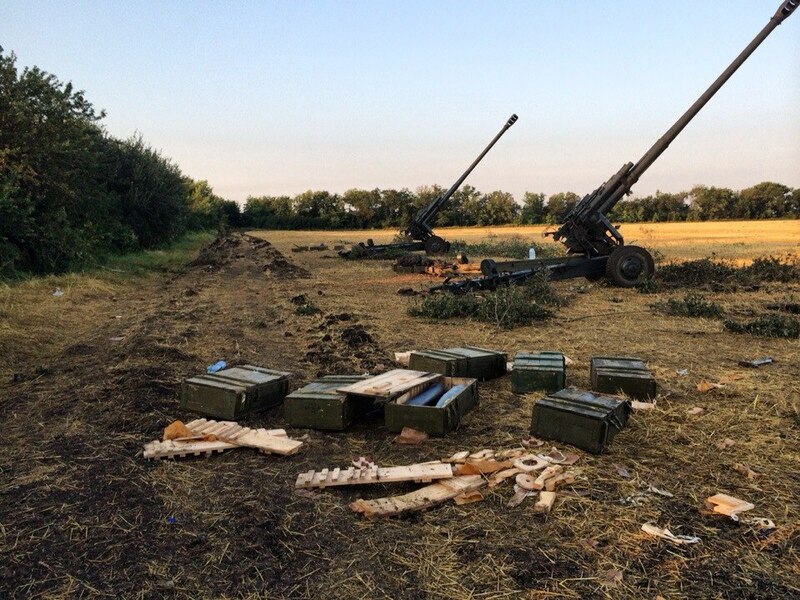 Thus, at 14:19 on the 23rd of June, Grigoriev published a post: “We were battering Ukraine all night long,” and he attached two photos to this post. 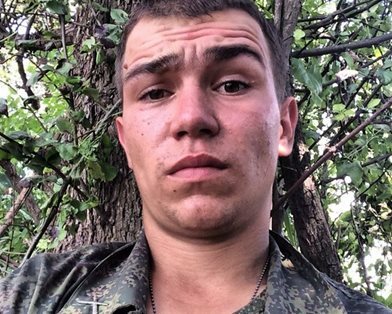 Earlier, on June 19 he published photos of himself with his fellow soldiers, writing that they have already spent two weeks “in the field without a shower” on the border with Ukraine. 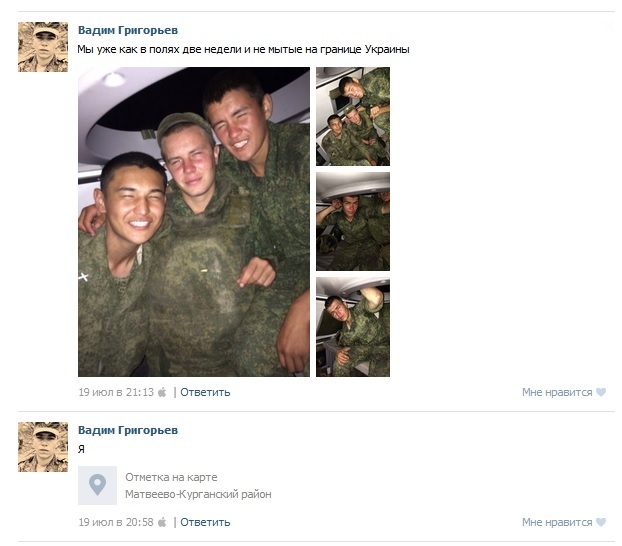 Photos of Grigoriev in “VKontakte” are connected to a map [displaying his location], and according to the information were made in Matveev-Kurgan region [Rostov Oblast] of Russia. 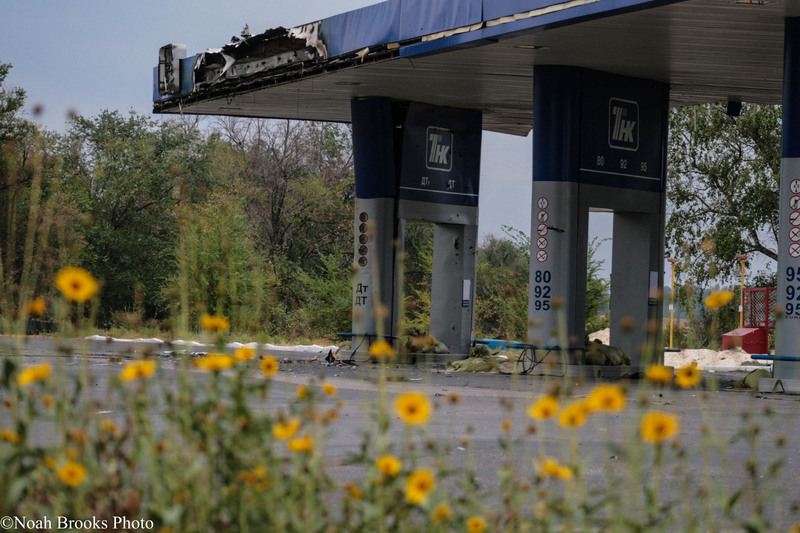 Recall that Ukraine has repeatedly recorded the shelling of its territory from Russia. 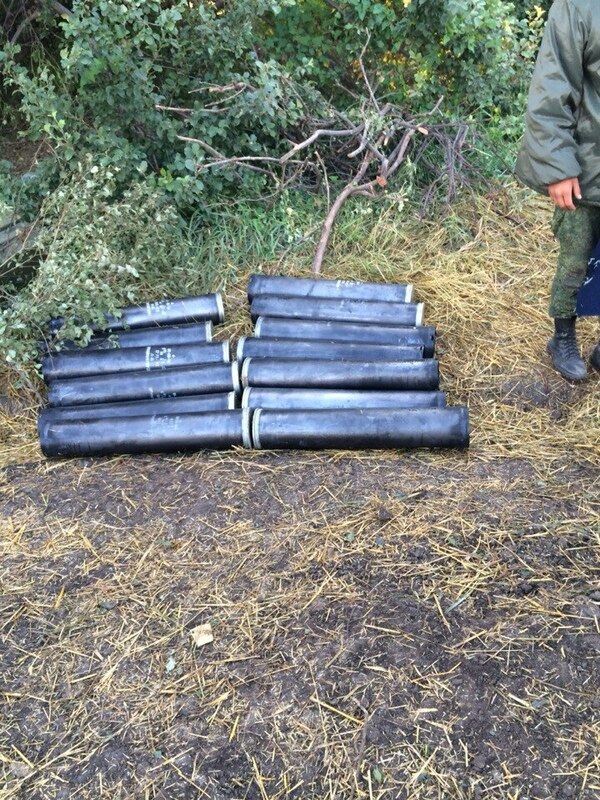 Thus, on the night of July 23, the positions of the Anti-terrorist Operation’s forces [ATO] along the border areas were fired at twice by “Grads” from the Russian territory. 1. The “truce” continues unilaterally. 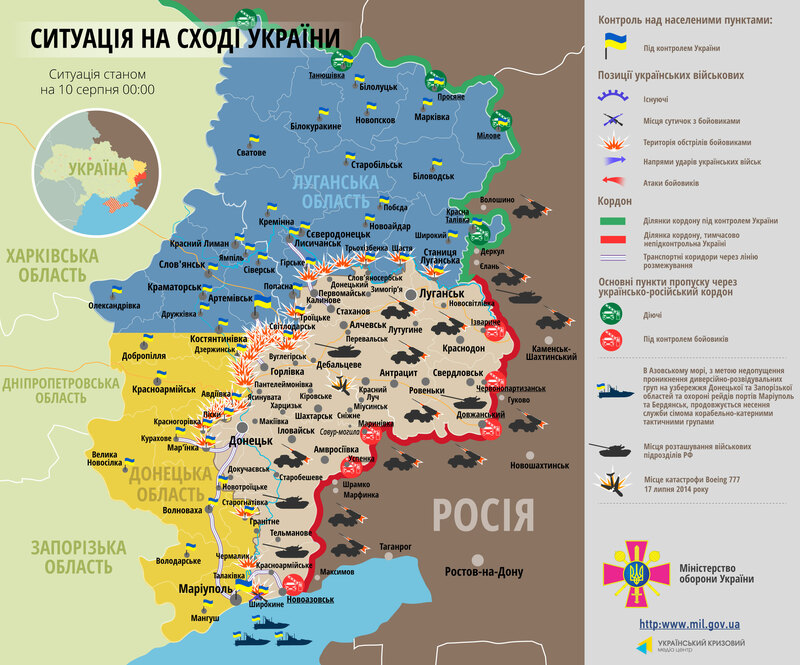 Terrorists fire at ATO forces’ positions, undermine railroads, and capture new administrative buildings. Peaceful civilians are being killed. Including children. 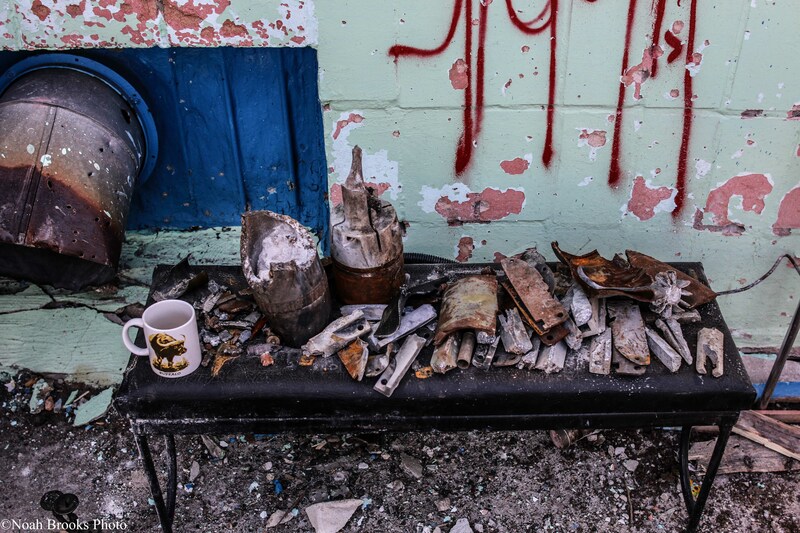 Today, doctors reported that one of the shrapnel fragments went straight into the heart of a 10-month-old baby slain by terrorists on June 24 in the city of Anthracite [Luhansk Oblast]. I don’t know what type of a beast shoots at a children’s playground from a grenade launcher. How is it even possible? One word: nonhumans. 2. Strange things are happening at the Prosecutor General’s Office of Ukraine [GPU]. The reduction of the GPU size, announced by the agency head, is definitely a positive. But then immediately thereafter a strange rotation on the position of Deputy Attorney General took place: Mykola Golomsha was replaced by the former Kyiv prosecutor Mykola Herasymiuk. Against the latter’s candidacy, let me remind you, were “Right Sector.” As in, this gentleman worked for the prosecutor’s office when Yanukovych was in power and falsified criminal cases against Maidan participants. I’m not saying that “Right Sector” is the truth of last resort. 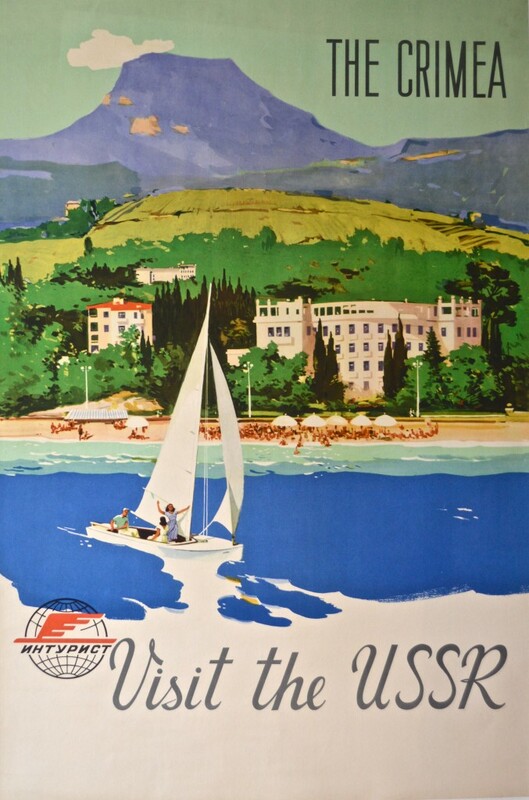 But once such serious allegations were made, it would be nice to conduct a thorough investigation and put the record straight about the identity of Herasymiuk. And don’t appoint him for such a high position on the quiet. 3. Proceeding from prosecutor’s cases on to military affairs. We received information that some generals, who showed particular zeal at the collapse of the Army under Yanukovych, now gradually test the waters for a return to a military office. In this regard, we tried to find out the fate of an interesting document. Namely, the results of an investigation conducted by the Ministry of Defense in April of this year, regarding the disintegration of the Armed Forces. To our knowledge, this document contains the names of specific generals and admirals, the guilty parties, I’m not afraid to use this word, in the tragedy. These materials were handed over to the Prosecutor General’s Office, and since then nothing could be heard about them. We were unable to find the end of the investigation–the GPU is in chaos because of the new appointments. But we are waiting for the Attorney General Vitaliy Yarema to shed some light. Firstly, the homeland should know the faces of its “heroes.” And secondly, we cannot allow these “strategists” back into the Defense Ministry and the General Staff. No matter how badly they want it. 1. The [Ukrainian] Cabinet of Ministers decided on the engineering and technical arrangement of the state border with Russia. There will be no Great Wall of China, but trenches, barbed wire and surveillance for sure. 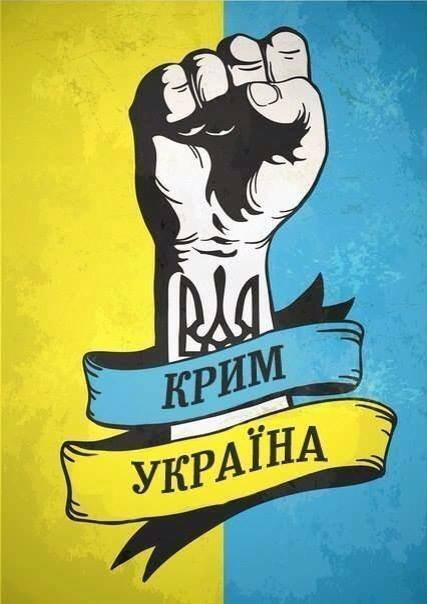 Let the Kremlin moan and cry that Kyiv cannot conduct a demarcation unilaterally. It is clear for everyone (except the Russians themselves), that any neighbor of Russia can feel relaxed only by cutting themselves off from Putin with a high fence. And behind this fence it is desirable to have a pack of evil dogs (that is the border control guards and the army). For Putin’s unwelcome messengers not only to remain without pants, but without something more valuable. Because we “became friends” with Russia once. Now we have to disentangle ourselves. 2. In the EU, a new body is being created–a support group in Ukraine which will include European officials and diplomats. 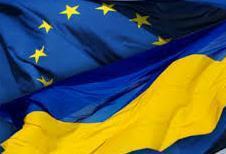 The group’s goal is to coordinate EU institutions on issues related to Ukraine. The creation of such a body to work with a country that is not an EU member is unprecedented. Let’s hope that this is not only a beautiful step but a truly qualitatively new format of work between Brussels and Kyiv. 3. The SBU [Security Service of Ukraine] detained terrorists who were preparing sabotage and terrorist attacks in Dnipropetrovsk, and dreamed of a “Dnipropetrovsk People’s Republic,” which would work closely with the “LNR” and “DNR” [Luhansk- and Donetsk People’s Republics]. June 24 – A railway bridge was blown up near the town of Orikhiv in Zaporizhia oblast on the night of the first day of ceasefire between Ukrainian servicemen and pro-Russian terrorists. Is this the answer of “Putin, the peacemaker” to Ukraine’s peace keeping initiatives? As a result of negotiations held in Donetsk on Monday, Ukrainian authorities, OSCE representatives and the terrorists reached an agreement on bilateral ceasefire until 10 am on June 27th. 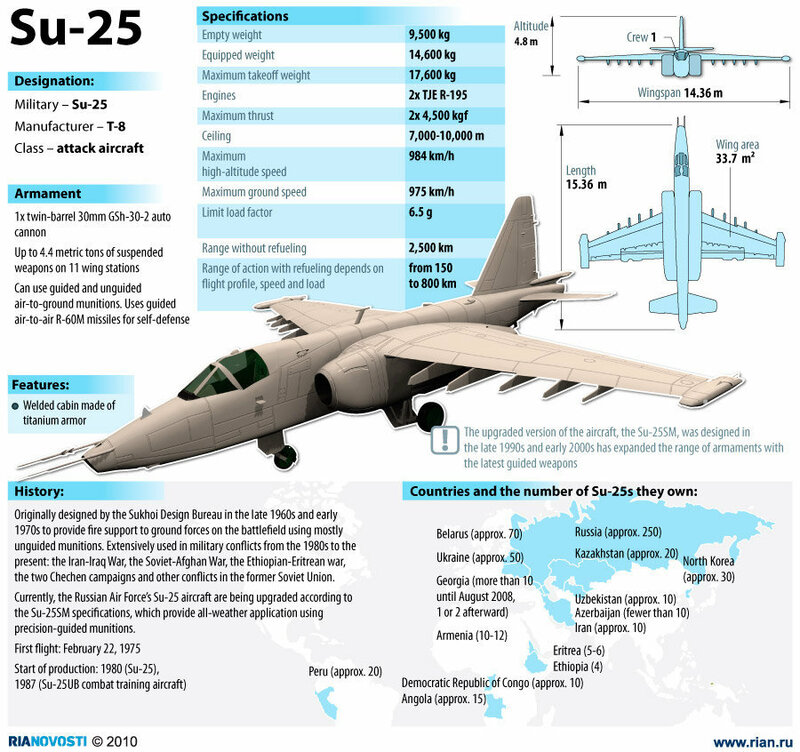 June 24 – Russian President Vladimir Putin suggested that the Russian Federation Council revokes its Resolution on “the use of Armed Forces of the Russian Federation in Ukraine”, informed Dmitry Peskov, Putin’s Press Attaché. At first Putin let himself to use his army in Ukraine and then he changed his mind. And then he will change his mind again tomorrow. To cut a long story short – Putin has indeed become one of Russia’s tzars. 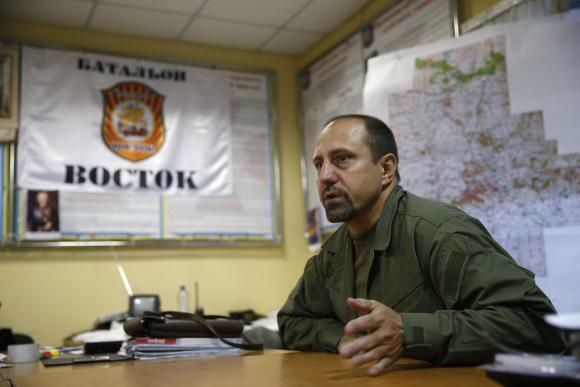 June 24 – Terrorists have shot down Ukrainian military helicopter Mi-8 near Karachun Mountain close to Sloviansk, informed ATO’s spokesman Vladyislav Seleznyov. 9 Ukrainian soldiers were killed in the crash. This is another of Putin’s “peacekeeping” responses to peace initiatives of Ukraine. June 24 – Tripartite peace negotiations are being held in Donbas. The negotiators: Russian Ambassador to Ukraine Mikhail Zurabov (representing Russia), representative of the OSCE Chairman Heidi Tagliavini, the second President of Ukraine Leonid Kuchma (representing Ukraine), Oleksandr Boroday (representing terrorists from “People’s Republic of Donetsk”), Viktor Medvedchuk (friend and well-known mouthpiece of Putin – it is unclear whom he represents), leader of the pro-Russian movement “South-East” Oleg Tsaryov and the representatives of “People’s Republic of Luhansk”. Russian Ambassador to Ukraine Mikhail Zurabov has stated that Viktor Medvedchuk participated in this meeting on behalf of the President of Ukraine Petro Poroshenko. Should we guess whether he was “defending” the interests of Ukraine? 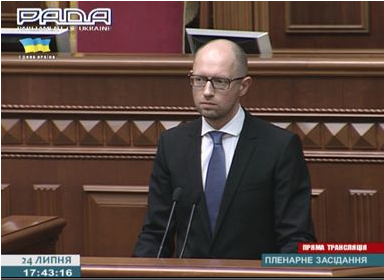 Are they again thinking of blocking Ukraine’s integration with the EU and NATO? Le 24 juin – Dans la nuit de la première journée de la trêve entre l’Ukraine et les terroristes pro-russes, un pont de chemin de fer a sauté près d’Orikhiv, région de Zaporizhya. Est-ce la réponse de Poutine “le pacificateur” aux initiatives de paix du gouvernement ukrainien? Le lundi à Donetsk, les autorités ukrainiennes, l’OSCE et les représentants des terroristes sont parvenus à un accord sur un cessez-le-feu bilatéral jusqu’au 27 juin 10 heures. Le 24 juin – “Le président russe, Vladimir Poutine a proposé au Conseil de la Fédération de Russie de révoquer la résolution “d’utiliser les forces armées russes sur le territoire de l’Ukraine.” – déclaration de Dmitri Peskov, secrétaire de presse du président. C’est donc Poutine qui a autorisé l’envoi de l’armée en Ukraine, et c’est lui-meme qui l’interdit. Et demain… il se le permettra de nouveau. En un mot, Poutine est devenu le vrai tsar de la Russie. 24 juin – “Près de la montagne Karatchoun à côté de Slovyansk, les terroristes ont abattu un hélicoptère militaire Mi-8 ukrainien.” déclare Vladyslav Selezniov, porte-parole du quartier general de l’ATO (opération anti-terroriste). Neuf militaires ukrainiens sont morts. C’est une autre réponse de Poutine “le pacificateur” aux initiatives de paix de l’Ukraine. 24 juin – Des pourparlers de paix trilatéraux se tiennent dans le Donbass. Les négociateurs: l’ambassadeur russe en Ukraine, Mikhail Zourabov (représentant de la Russie), la représentante du directeur de l’OSCE, Heidi Tagliavini, le deuxième président de l’Ukraine, Leonid Koutchma (qui représente l’Ukraine), Oleksandr Boroday (représentant des terroristes de la “Republique populaire de Donetsk), Viktor Medvedtchouk (parrain de l’enfant de Poutine et porte-voix de Poutine en Ukraine – on ne sait pas qui il représente), le chef de file du mouvement pro-russe “Yugo-Vostok” (Sud-Est), Oleh Tsariov et les représentants de la “republique populaire de Louhansk”. L’ambassadeur russe en Ukraine, Mikhail Zourabov affirme que Viktor Medvedtchouk participé à la réunion trilatérale au nom du président de l’Ukraine, Petro Porochenko. Vous pouvez vous imaginer comment il va “défendre” les intérêts de l’Ukraine! Est-ce que l’adhésion de l’Ukraine à l’UE et à l’OTAN sera de nouveau compromise? 24. Juni – In der Nacht nach der Erklärung des Waffenstillstands zwischen der ukrainischen Seite und den prorussischen Separatisten wurde in der der Nähe der Stadt Orichiw, Gebiet Saporishia eine Eisenbahnbrücke gesprengt. Ist das die Antwort des “Friedensstifters” Putin auf die Friedensinitiativen der Ukraine? Am Montag wurde nämlich in den Verhandlungen zwischen der ukrainischen Regierung, der OSZE und den Vertretern der donezker Terroristen eine Übereinkunft über die zweitseitige Feuerpause bis zum 27.06.,10 Uhr erreicht. 24. Juni – Russischer Präsident Wladimir Putin hat dem russischen Föderationsrat (Oberkammer des Parlaments, Anm. d. Ü.) vorgeschlagen, den Beschluss über den “Einsatz der Streitkräfte der Russischen Föderation auf ukrainischem Gebiet” zurückzunehmen, teilte der Pressesprecher des Staatsoberhaupts Dmitri Peskow mit. Putin hat sich selbst die Erlaubnis erteilen lassen und jetzt sich selbst ein Verbot verhängt. Morgen wird er sich selbst vielleicht wieder erlauben. Kurzum ist Putin endgültig russischer Zar geworden. 24. Juni – In der Nähe des Bergs Karatschun bei Slowjansk haben die Terroristen einen ukrainischen Hubschrauber vom Typ Mi-8 abgeschossen, teilte der Pressesprecher des Koordinationszentrums der Anti-Terror-Operation Wladislaw Selesniow mit. Neun ukrainische Soldaten sind dabei ums Leben gekommen. Noch eine Antwort des “Friedensstifters” Putin auf die ukrainische Friedensinitiativen. 24. Juni – In Donezk laufen derzeit dreiseitige Friedensgespräche. Die Parteien sind: russischer Botschafter in der Ukraine Michail Surabow (vertritt Russland), Vertreter des OSZE-Vorsitzenden Heidi Tagliavini, der zweite Präsident der Ukraine Leonid Kutschma (vertritt die Ukraine), Alexander Borodaj (vertritt die Terroristen der “Volksrepublik Donezk”), Wiktor Medwedschuk (dessen Sohn ist Putins Patenkind; wen er vertritt, ist unklar), Anführer der prorussischen Bewegung “Südosten” Oleh Zarew und Vertreter der “Volksrepublik Luhansk”. Der russische Botschafter in der Ukraine Michail Surabow erklärte, dass Wiktor Medwedschuk im Auftrag des ukrainischen Präsidenten Petro Poroschenko an der Sitzung der dreiseitigen Kontaktgruppe teilnehmen würde. Es ist nicht schwer zu erahnen, wie er die “Interessen der Ukraine vertritt”. Soll hiermit etwa die Integration der Ukraine in die EU und in die NATO blockiert werden? 24 giugno – Nei pressi della città Shchàstia è caduta in un’imboscata ed è stata imprigionata la donna-pilota Nadiya Savchenko, insieme ad altri soldati ucraini. I leader dell’ATO intendono scambiare il pilota Savchenko per un terrorista, – comunica il capo dell’ufficio stampa del Ministero della Difesa dell’Ucraina Bohdan Sennyk. 24 giugno – Nella notte del primo giorno di tregua fra gli ucraini e i terroristi filorussi è stato fatto saltare in aria un ponte ferroviario vicino alla città di Orihiv nella regione di Zaporizhzhia. È questa la risposta del “pacifista” Putin alle iniziative di pace in Ucraina? Ricordiamo che lunedì nel corso dei negoziati tra le autorità ucraine, i rappresentanti dell’OSCE e quelli dei terroristi di Donets’k è stato raggiunto un accordo sul cessate il fuoco bilaterale fino alle ore 10:00 del 27 giugno. 24 giugno – Il presidente russo Vladimir Putin ha proposto al Consiglio della Federazione di revocare la Risoluzione “per l’introduzione delle forze armate russe sul suolo ucraino”, – ha comunicato l’addetto stampa del presidente Dmitry Peskov. Il presidente si è autoconcesso la possibilità di utilizzare l’esercito in Ucraina e allo stesso modo ha revocato la propria decisione. E domani magari cambierà idea. Putin è diventato vero zar della Russia. 24 giugno – A Slovians’k, i terroristi hanno abbattuto un elicottero militare ucraino Mi-8, – ha detto il portavoce dell’ATO Valdyslav Selezniov. Sono morti 9 militari ucraini. È l’ennesima risposta di Putin alle iniziative di pace promosse dall’Ucraina. 24 giugno – Nel Donbas sono in corso i negoziati a tre: i negoziatori sono: l’ambasciatore russo in Ucraina Mikhail Zurabov, il rappresentante dell’OSCE Heidi Tagliavini, il secondo presidente dell’Ucraina Leonid Kuchma, Aleksandr Boroday (rappresentante i terroristi), Viktor Medvedchuk (imparentato con Putin e portavoce di Putin in Ucraina – non si sa chi stia rappresentando), Oleh Tsarev (leader del movimento filorusso Iugo-Vostok) e i rappresentanti della Repubblica Popolare di Luhans’k. L’ambasciatore russo in Ucraina Mikhail Zurabov ha detto che Medvedchuk stia partecipando ai negoziati a nome del presidente dell’Ucraina Poroshenko. Non sarà che il processo di integrazione dell’Ucraina nell’UE e nella NATO verrà nuovamente bloccato? 23 czerwca – Na Donbasie odbyły się trzystronne rozmowy pokojowe. Negocjatorzy: ambasador Rosji w Ukrainie Michaił Zurabow (reprezentujący Rosję), przedstawiciel przewodniczącego OBWE Heidi Tagliavini, drugi prezydent Ukrainy Leonid Kuczma (reprezentujący Ukrainę), obecne także: poszukiwany przez wymiar sprawiedliwości Ukrainy za terroryzm obywatel Rosji Aleksandr Borodaj (lider organizacji terrorystycznej DRL), poszukiwany przez wymiar sprawiedliwości Ukrainy za zdradę stanu były deputowany Rady Najwyższej Ukrainy Oleg Cariow (przywódca irredentystycznego ruchu “Jugo-Wostok” za oderwanie południowo-wschodniej części Ukrainy i przyłączenie ją do Rosji), bliski przyjaciel Władimira Putina i kontakter pomiędzy prezydentem Rosji i terrorystami Donbasu Wiktor Miedwiedczuk, czynny deputowany Rady Najwyższej Ukrainy Nestor Szufrycz. Rosyjski ambasador w Ukrainie Michaił Zurabow oświadczył, że Miedwiedczuk uczestniczył w posiedzeniu Trójstronnej grupy kontaktowej w imieniu prezydenta Ukrainy Petra Poroszenki, co było później zaprzeczono przez rzecznika RBNO. 24 czerwca – W nocy na drugą dobę rozejmu między Ukrainą i rosyjskimi terrorystami, w pobliżu miasta Orichów obwodu Zaporoskiego nieznane sprawcy wysadzili most kolejowy. Czy to odpowiedź Putina na pokojowe inicjatywy na Ukrainie? Przecież w poniedziałek na negocjacjach między władzami Ukrainy i przedstawicielami OBWE oraz Rosją i opiekanymi przez nią terrorystami w Doniecku osiągnięto porozumienie w sprawie zawieszenia broni do 10 rano w dniu 27 czerwca. 24 czerwca – Prezydent Rosji Władimir Putin zaproponował Radzie Federacji w Rosja uchylić uchwałę “o użyciu sił zbrojnych Federacji Rosyjskiej na terytorium Ukrainy”, poinformował sekretarz prasowy prezydenta FR Dmitrij Pieskow. Ponieważ prezydent Putin w całości kontroluje organa ustawodawcze w FR, to takie działania wyglądają na rozkazy lewej reki dla prawej władcy, który osiągnął poziom wszechmocy imperatora Rosji. 24 czerwca – W Słowiańsku w pobliżu góry Karaczun terroryści rosyjscy zestrzelili ukraiński śmigłowiec wojskowy Mi-8, według rzecznika sztabu ATO Władysława Sełezniowa, zginęli 9 ukraińskich żołnierzy. Jest to kolejna odpowiedź prezydenta Putina na pokojowe inicjatywy Ukrainy. 24 червня – У ніч на перший день перемиря між українською стороною і проросійськими терористами поблизу міста Оріхів Запорізької області підірвали залізничний міст. Це відповідь “миротворця” Путіна на мирні ініціативи України? У понеділок на переговорах між українською владою, ОБСЄ та представниками терористів в Донецьку досягли домовленості про двостороннє припинення вогню до 10 ранку 27 червня. 24 червня – Президент РФ Володимир Путін запропонував російській Раді Федерації скасувати постанову “про використання Збройних сил РФ на території України” – прес-секретар глави держави Дмитро Пєсков. Сам собі дозволив використовувати армію в Україні – і сам собі й заборонив. А завтра знову дозволить. Одним словом, Путін реально став російським царем. 24 червня – Під Слов’янськом біля гори Карачун терористи збили український військовий вертоліт Мі-8 – речник штабу АТО Владислав Селезньов – загинуло 9 українських військових. Це ще одна відповідь “миротворця” Путіна на мирні ініціативи України. 24 червня – На Донбасі відбуваються тристоронні мирні переговори. Сторони переговорів: посол РФ в Україні Михайло Зурабов (Представляє Росію), представник голови ОБСЄ Хайді Тальявіні, другий президент України Леонід Кучма (представляє Україну), Олександр Бородай (терористів ДНР), Віктор Медведчук (кум Путіна і відомий рупор Путіна в Україні – кого представляє невідомо), лідер проросійського руху “Юго-Восток” Олег Царьов і представники “ЛНР”. Посол РФ в Україні Михайло Зурабов заявив, що Віктор Медведчук брав участь у засіданні Тристоронньої контактної за дорученням президента України Петра Порошенка. Можна здогадатися, як він “відстоює” інтереси України. Невже знову заблокують інтеграцію України з ЄС та НАТО?